Carpigiani UK has announced the appointment of Paul Richards as the new Business Development Manager for the North of England and Wales in dual role that will also incorporate national and key accounts. Richards, who joined Carpigiani UK at the end of October, has been recruited to fill the vacancy left by the sudden and unexpected passing of long-term colleague, friend, and industry figure, Tommy Carrigan, earlier in the year. Beginning his career in Foodservice back in 2004, Richards has amassed a combined total of nine years at Taylor UK. In his previous role as Area Sales Manager for the midlands, he proudly claimed the accolade as the ‘Number one sales person’ for the past four consecutive years. 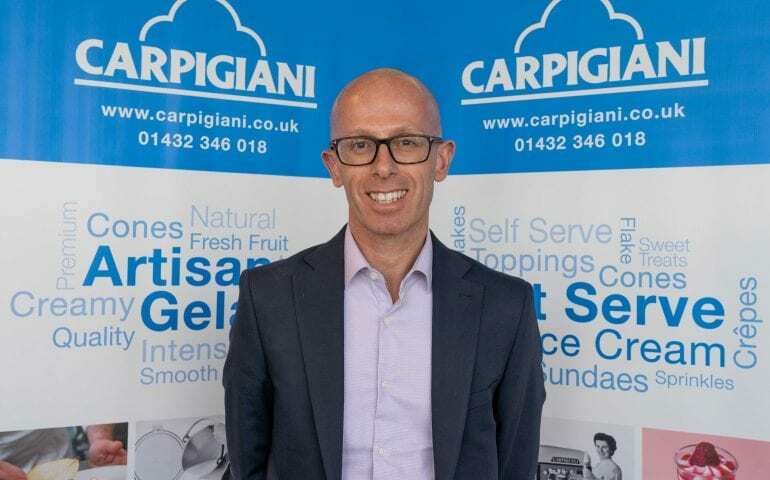 With his existing experience in the artisan gelato and soft serve ice cream equipment sector, Paul Richards will continue to strengthen Carpigiani’s position as the world leaders in the market. Working with customers, dealers and distributors across the north of England and Wales, the role will also see Paul support the work of David Ashton, National Account Manager at Carpigiani UK, to develop key accounts for the business. “It’s with great pleasure that we are able to announce that Paul Richards has joined Carpigiani following a hugely successful period at Taylor UK. With his extensive knowledge of the industry and an impressive track-record, Paul is the ideal fit to fill the role left by our late friend and colleague, Tommy Carrigan. For more information on Carpigiani, the company’s extensive artisan gelato and soft serve ice cream equipment portfolio or for details of the Carpigiani Gelato University training courses, please call Carpigiani UK on 01432 346018 or visitwww.carpigiani.co.uk.